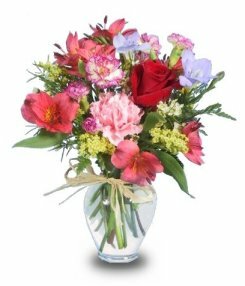 The Flower Puff is a leading, full-service florist proudly serving Elizabeth, NJ and the surrounding area for over 45 years! In addition to breathtaking fresh floral arrangements and beautiful plants, we offer quality gifts for all ages and occasions. For your convenience, we provide same day delivery service to all local funeral homes and hospitals. Wedding Flowers, Party & Special Event Flowers ~ With The Flower Puff designing the bouquets and floral arrangements, your special event is sure to be a blooming success!! 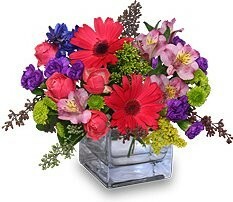 Call us in advance at 908-289-5855 and make your appointment for a consultation with one of our floral professionals. Assorted Plants & All Occasion Gifts ~ Browse our assortment of dish gardens, green plants and blooming plants for a gift that brings life to any room or office. We also offer a large selection of gift ideas, including delicious fresh fruit baskets, gourmet snack baskets, balloons, plush toys, candles, silk floral arrangements, home decor, baby gifts and much more!